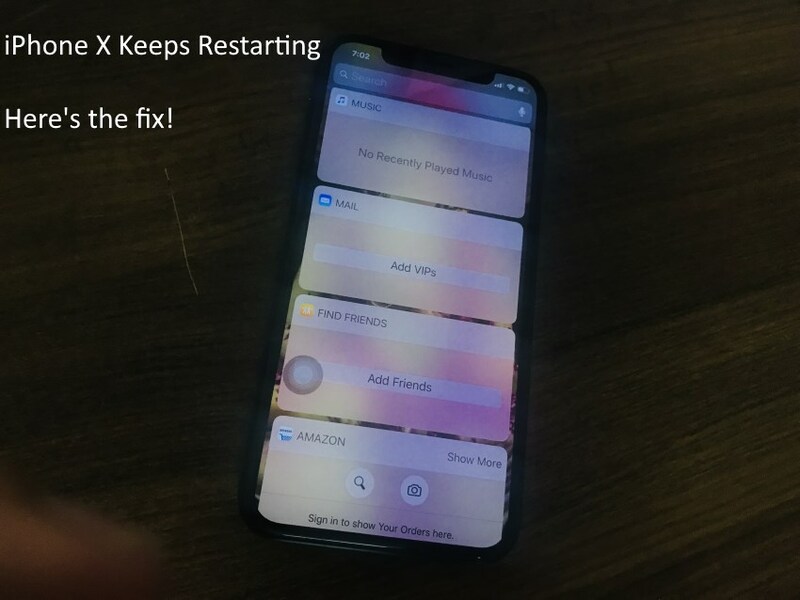 iPhone X keeps restarting or rebooting is not a serious problem for the iOS users. Because that usually happens on other iPhone, iPad or iPod Touch Models. Here, I will teach you, how to stop or auto reboot iPhone X by itself problem? Your iPhone unable to restore using iTunes, in result iPhone won’t start and don’t save data to New iPhone. Apple gives two different options for restoring old iPhone Data to new iPhone without auto-restarting. I use iCloud restore for a move all data to new iPhone X. Normally, we can not update the Air (Using WiFi) from the iPhone Settings app. Updates iOS using iTunes is a smart and Fast way to update old iOS without any data loss. You can update iOS from Settings using WiFi from Settings > General > Software Update (iOS crashing on the Specific event). Using iTunes: Connect your iPhone to iTunes on Mac or PC. Unlock iPhone screen and Tap trust this computer in popup showing on iPhone. In iTunes, Go to iPhone Summary page > See “Backups” Section > Restore Backup. Clean Restore will help you fix any serious problem quickly if you are suffering a couple of months after getting the latest update from Apple. Turn off Find my iPhone from settings on iPhone X.
Connect your iPhone X to iTunes using Lightning Cable, Quickly Press Volume up button and Release, Then Quickly press Volume Down button and Release. Now Press and Hold side button until you get the message, iPhone has detected in recovery mode. Tap on restore button in iTunes popup. Follow on-screen instruction and get done. People are trying to restart iPhone, But Force Restart works well in such troubleshooting tips. Update iOS and Remove outdated, incompatible apps installed on iPhone X. Go to the Settings app > General > About > Applications > See incompatible iOS app (Remove it or Contact app developer from the app store). Set fix date for auto-update Date and Time setting. Go to the Settings > General > Date & Time > Select today’s date and save. Hope you get to fix your iPhone X keeps restarting itself. Share with others who are suffering from this serious problem on your social page.